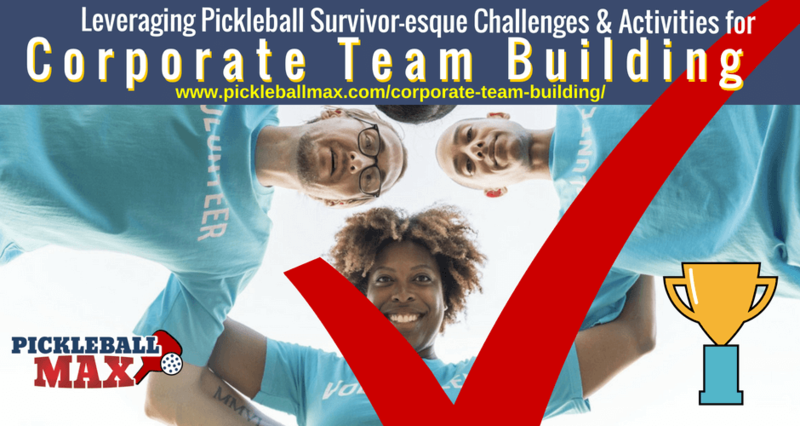 With the help of puzzles, obstacle courses, targets, blind folds — and, of course, pickleball paddles, balls and nets — our unique, 90-120 minute corporate team-building event is designed to build trust, encourage communication and enhance collaboration amongst employees in an assortment of incredibly unique and fun pickleball “Survivor-esque” challenges and activities. Although participants may be required to use the pickleball paddle from time-to-time, it will not be within the context of “traditional” game play. Success in our interactive team-building challenges will depend upon each participant’s ingenuity, quick-thinking, skillful collaboration — and just a hint of eye-hand coordination. These challenges are perfect for company picnics, employee recognition events, new hire orientations and more. These fun and engaging team challenges will pit teams against the clock — and against each other. Contact us today if your organization is looking for something unique that builds camaraderie, provides high-energy fun, boosts employee morale and team spirit and strengthens teamwork! After the session, your team will feel valued, rewarded and more cohesive.